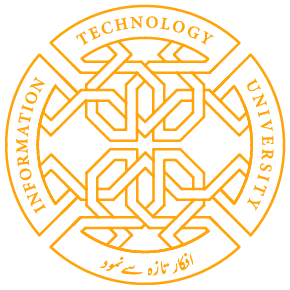 Information Technology University (ITU) the Punjab is all set to launch a Consortium for Applied Data Science for the development of the Data Science and Artificial Industry on Thursday, July 5th 2018 at 3.30 pm on 3rd Floor, Arfa Software Technology Park, Lahore. The consortium is a demonstration of commitment to embrace emerging data-driven technologies as key enabler in improving the prosperity of the nation as well as creating a regional hub for Data Science and Artificial Intelligence advancement. ITU will collaborate with world-class practitioners in Data Science and Artificial Intelligence and create innovative solutions through machine learning and artificial intelligence through this platform. The Alan Turing Institute, the National centre for Data Science and Artificial Intelligence in the United Kingdom (UK) has supported the scoping phase of the Consortium by providing advice from its own start-up phase, and will continue to share advice as the Consortium develops. The UK has benefitted from applying Data Science methods extensively over the decades in health, finance, law and order etc. Dr. Umar Saif founding Vice Chancellor ITU, academics and industry practitioners from UK, representatives from leading Universities of Pakistan, government officials and private sector along with Tony Bellotti from Imperial College London, Ruth Graham from DFID Punjab, Lea e Seeanson from USAID Punjab and many other experts will share their thoughts about this remarkable initiative taken by ITU. Share the post "LAUNCH OF CONSORTIUM FOR APPLIED DATA SCIENCE AT ITU TOMORROW"